Opens a dialog where the filter expressions can be defined. 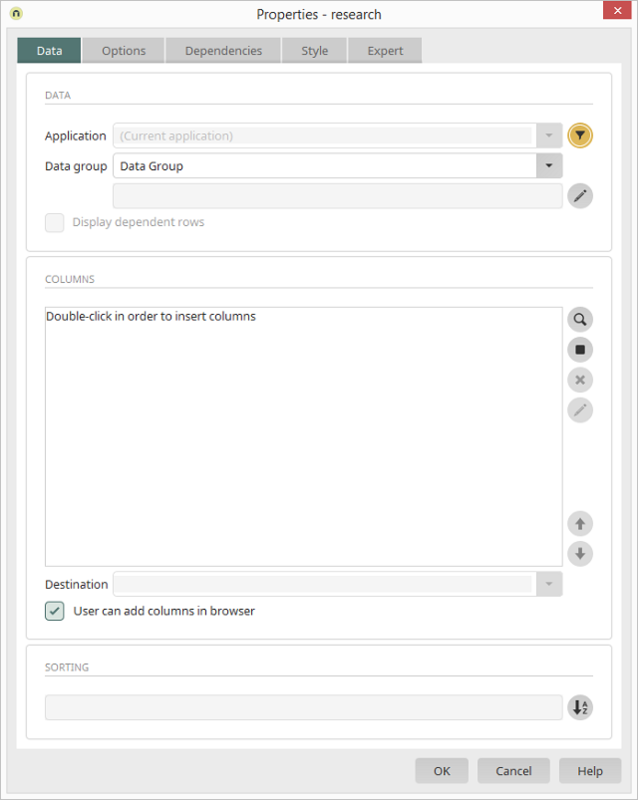 Opens a dialog where you can select which subordinate data groups should also be included in the research. Affects the display of data records that are in a parent-child relationship to the superior, currently selected data record. 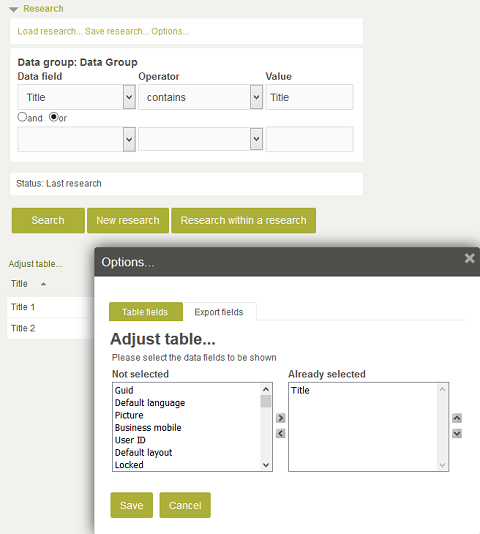 Gives users the permission to add or remove columns to and from the results table of the research. If the setting is selected, the "Adjust table" link will be shown above the results table in the browser.